As a preschooler I specifically remember my teacher animatedly reading "Three Billy Goats Gruff" to the class. I loved fairytales and I looked forward to it in school. I remember pretending to be Little Red Riding Hood, Rapunzel, and the best of all Gretel. I always wished to find that house made of candy, and even hoped to puff, and huff, and blow a house down. I also wondered what it would've been like to be golden haired girl and enter a bear's loving home to eat their porridge and find the smallest bed to sleep on. Now that I'm older, my love of books is still there. The only difference is that I read more to my children than I read for myself. Nevertheless, I still get excited reading these fairytales and even more so now reading to my kids. Especially of those books that I used to read as a young girl. I love watching their reaction when The Cat in The Hat disheveled the whole household as the fish scolded him, and when thing 1 and thing 2 made even more mess. I always search websites to find the books or movies and titles that I might've forgotten. I recently sent my husband to Blockbuster to rent "Puss in Boots" that Christopher Walken has starred on so I can enjoy it with my kids. Sadly so, the kid behind the counter only recognize Puss as the character in Shrek. Not that Shrek wasn't a fine piece of animation, infact it was incredible to say the least. But I think Charles Perrault* need more validation than that. Without Chuck, then I would've never found the delight in reading "Grandmother, what big teeth you have got!" "All the better to eat you up with." 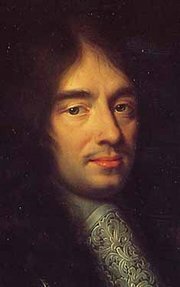 * Charles Perrault (January 12, 1628 – May 16, 1703) was a French author who laid foundations for a new literary genre, the fairy tale, and whose best known tales include Le Petit Chaperon rouge (Little Red Riding Hood), La Belle au bois dormant (Sleeping Beauty), Le Chat botté (Puss-in-Boots), Cendrillon (Cinderella), Barbe Bleue (Bluebeard), Le Petit Poucet (Hop o' My Thumb), Les Fées (The Fairies), and Ricquet à la houppe (Ricky of the Tuft). Perrault's most famous stories are still in print today and have been made into operas, plays, films and animated motion pictures by, among others, Disney Studios.